The recovery position is just that. The position you want to be in when you’re trying to recover from something. Whether you’re the victim of trauma or a medical condition, this position reduces how hard the body needs to work in order to sustain itself. It allows your body to focus on healing- very helpful if you’re injured. Sitting or standing requires the heart to work harder to supply the brain and organs with precious blood. Even laying at a 75 degree angle can decrease your cardiac output by as much as 30%. Your heart will then have to compensate by increasing your heart rate or blood pressure to maintain blood supply to the brain. When you’re hurt, it’s generally a good rule of thumb not to make your heart work harder. ILCOR (The International Committee On Resuscitation) recommends that 6 principles be followed when placing someone in a recovery position. The person should be in a lateral position with the head dependent, to allow free drainage of fluid. The position should be stable. Any pressure on the chest that impairs breathing should be avoided. It should allow the person to be able to be turned from their back, to their side, easily and safely. It should allow for good access and view of the persons airway. The position itself should not injure the victim. 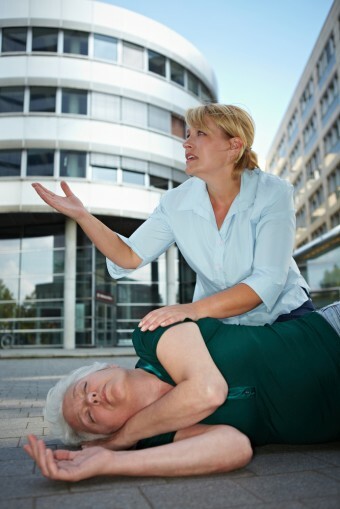 The American Heart Association recommends the recovery position be used on any person who is breathing on their own and does not need CPR, but has an altered level of consciousness. The position involves laying the victim on their side. Known as the recumbent position, it doesn’t really matter if it’s their left or right side (historically it was thought the left side was better because of cardiac output, however, it’s now generally thought the situation the person is in at the time, like up against a wall, or injury will better dictate which side you should place them on.) Place the person’s arm that is on the ground, out in front of the body. The leg that is not on the ground should then be placed in the opposite direction as the arm. Rest their head in a position that ensures their airway remains open. This position does several things for you. The first is that it assists in any situation where blood pressure is an issue, like shock. Shock is simply a condition where the body’s tissues don’t receive enough oxygen and nutrients to allow cells to maintain their functions. It can be caused by excessive bleeding, allergic reaction, infection, injury to your central nervous system, diabetic problems, and heart conditions. When any of these problems lead to shock, the victim can pass out, known as a syncopal episode. Lying down will help raise their blood pressure to the point they become conscious again. If the reason for unconsciousness is anything other than shock, like a seizure, drug or alcohol overdose, respiratory problem, or blood sugar problem, this position is still the best way to situate them. The second thing this position does for you is help control the person’s airway. When someone is unconscious or has an altered mental status in any way, supporting their airway becomes very important. When unresponsive, if you lay on your back, your tongue can relax and block your trachea (though it’s a myth that you can actually swallow your tongue and have it get stuck). Being on your side will prevent the tongue from blocking the trachea and if it was previously blocking it before moving the person onto their side, gravity will do the job of moving the tongue out of the way to allow the person to breathe. The other airway issue being on your side helps with is in the case of vomiting. Several different types of medical conditions like seizures, heart problems, stroke, blood sugar problems and even trauma, can make a person nauseated and vomit. If you blow chunks when you’re on your back, the vomit has nowhere to go. When you take a breath, it will then enter your lungs- not really ideal. No one wants to drown on their own puke! Known as aspiration, this is prevented if you are on your side. The vomit will allow gravity to drain it out on the ground. The stain on your carpet might be tough to get out, but at least you’ll be alive to be annoyed by its presence. Having the person’s arm and leg resting in opposite positions will prevent the victim from rolling over to their front or back. It doesn’t matter if they are unconscious or just don’t have the energy to maintain a consistent position, even if left alone this will keep them in the position that’s most beneficial for them. Just about any medical condition or trauma can be helped by the person lying down. Being on their side will prevent any complications from the person lying on their back. 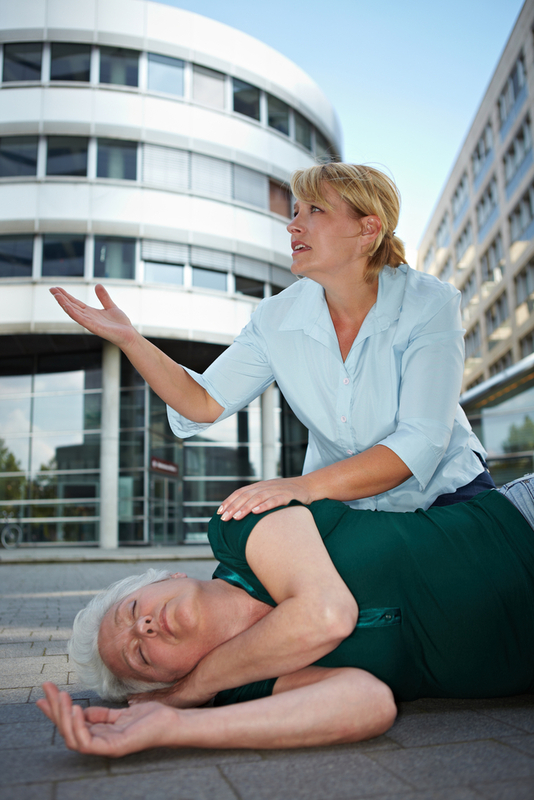 Because it is so easy to place a person on their side, and because it helps and is potentially life saving in so many situations, recovery position comes in at #3 on our “Top 5 First Aid Tricks Everyone Should Know” series. Lying on your side is not just helpful if you’re injured. It’s generally recommended that a woman in her third trimester lay on her side because their cardiac output is increased by an average of 27% when they do. The reason is thought to be related to how their uterus sits when they’re on their back. It compresses the inferior vena cava (the really big vein that supplies blood back to the heart). If you relieve this compression, it allows more blood flow back to the heart. The result is more blood available for the heart to squeeze back out again. The recovery position for an infant is the same as for an adult. The main difference is you can usually hold them on their side instead of placing them on their side. Make sure to keep their head lower than their stomach, as this will help any fluid or vomit not become aspirated. The brain of a caffeinated paramedic.